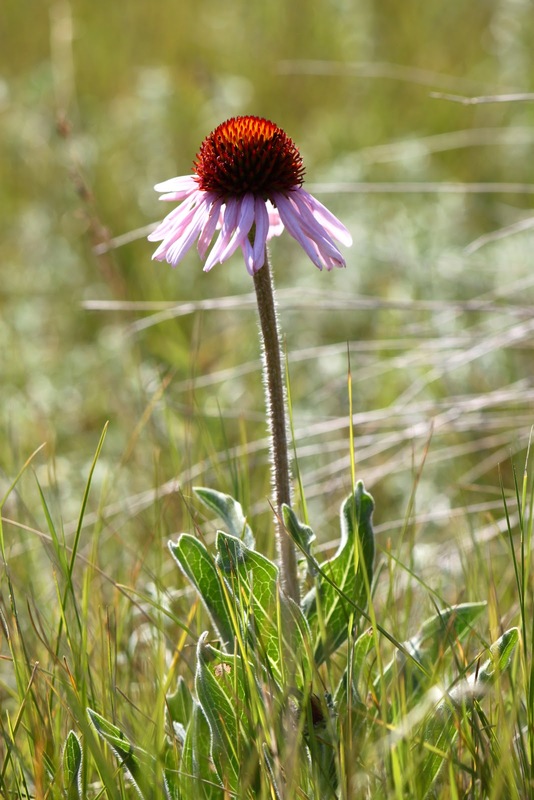 Don’t go back to Purple Prairie Coneflower as "Indian Novacain"
I drove through a native prairie grass pasture over the weekend in western North Dakota where 840 oil wells have been established in just a few years, every four miles across straight lines in a rural county. As the rancher drove down the path in the pasture, he parked his vehicle and said, “hold on just one minute” and came back quickly with a flower in his hand. He cut off small bits of it with his pocket knife, handed it to the back seat to my friend Pam and me and said “chew on this.” We followed instructions. As I chewed so did Pam. I looked beyond the native prairie pasture to see an old small town church, reminding me of the history this land represents. Then the chewing effect set in and my train of thought shifted. My mouth first felt hot, then spicy and then numb. Pam and I started to sound a bit tongue tied and the rancher and his wife began to laugh. The rancher’s wife grew up next to this native pasture. It’s been in her family for over a century. She told us this native prairie Purple Coneflower was known as “Indian Novacain” and used as a pain killer by homesteading settlers, taught to them by Native Americans. The numbing factor isn’t anything compared the real Novacain I had in my abscess tooth and root canal a couple months ago. It also lasted for only minutes. I looked back at the wildflowers as drove through the pasture. I thought back to my ancestors on this prairie on the eastern half of the same state. I am grateful for what they endured. 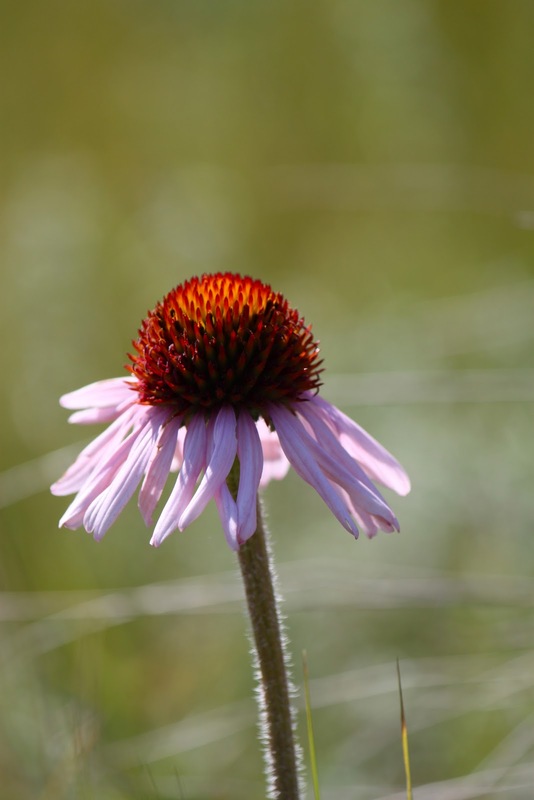 But I don’t want to go back to Purple Coneflower as Novacain. I want technology. I like advancements that make my life more comfortable. At the same time, I want heritage preserved. I want native grasses and wildflowers to remain. In the midst of the western North Dakota fields where new technology is being used to reach huge domestic oil reserves, signs of the native prairie remain. Who knew chewing on a wildflower would give me hope that balance between technology and preserving history can possibly be found? Thanks to Purple Coneflower and a tour through western North Dakota, I have hope. Hope for energy independence for our nation. Hope for new jobs. Hope for new technology. Hope for solutions to problems. But also I have hope we can maintain our way of life, our communities, our history and our land. Sounds like a fun lesson, but I do agree. I like modern advances! I liked the spin on technology advancements! Great post! Who knew! Great lesson and way to tie it all together. I like the comforts of tech. too! Great post! Also a great reminder that we need to balance new advancements in agriculture with preservation – it can be done!